Learn more about how helicopters can benefit your agricultural operation in Florida. With specific regard to Floridian crops, the sunshine provides for an optimal growing atmosphere. However, that atmosphere is little without a means by which farmers can quickly apply the necessary chemicals for sustained growth. Completed by a helicopter in a fraction of the traditional time, aerial application operations in Florida are both affordable and efficient, allowing crop-growers to concentrate on business growth in perpetuity while a fully-trained, professional aerial application pilot accounts for the chemical application to all of your crops, without delay. It’s the contemporary aerial solution for the contemporary farmer in Florida. Deserving of its nickname, Florida exists as the virtual sunshine capital of the country. Pleasant climates make for optimal aerial application, given that the state is typified by large periods of ideal weather at a time. Florida easily backs its reputation with cool ocean breezes, and mild temperatures for a majority of the year. Crops grown in Florida include sugar cane and tomatoes, but the star of the show is the Florida orange. Internationally acclaimed as some of the world’s finest fruit, the Florida orange crop can benefit greatly from expedited aerial application. From crop surveys to dry and wet spraying, FairLifts can offer you more options for aerial application in Florida. By using helicopters for your crop needs, you are choosing a more accurate, even coverage for your fields. Helicopters are much faster, have less of an impact on surrounding crops or roads, and provide more penetration of the crop canopy. With so many benefits as well as saving you time, gaining you profit and assisting in production of higher quality products, there is very little else to decide other than when you’d like for the pilot to come to your farm. Take a look at the options below, while these are the most popular we offer customized scheduling for specialized needs as well. Anyone who has been to the South knows that mosquitos are a menace and small insects can wreak havoc on the quality of your crops. Helicopters provide easy access to areas of your fields or land without affecting the surrounding environment and neighborhoods. We work with professional specifically trained in mitigating pesticide drift and spray drift and are knowledgeable of the specific rules and regulations for pesticide treatments in Florida. Choose from options such as adulticide and larvicide to ensure every pest life-cycle is taken care of. 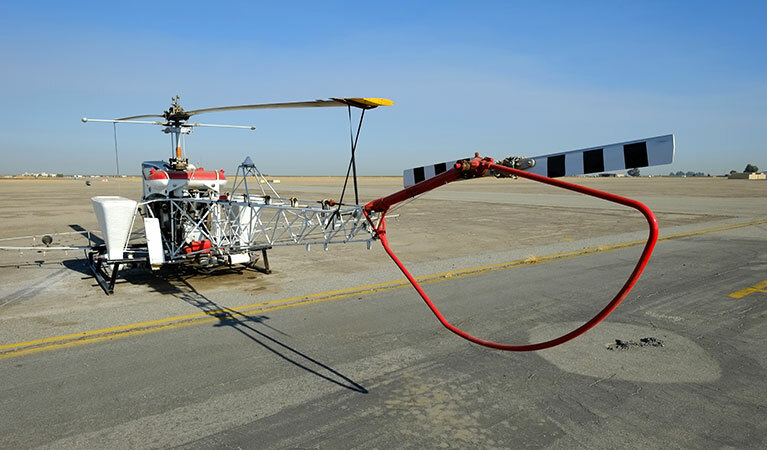 Herbicide application via helicopter is much less time consuming than by ground application and you take less of a risk that your crops will not have the correct or even spreading you may have to apply it alone. With the ability to access difficult to reach, and large areas, aerial application is the best way to ensure your crops are guarded against noxious weeds and brush encroachments. 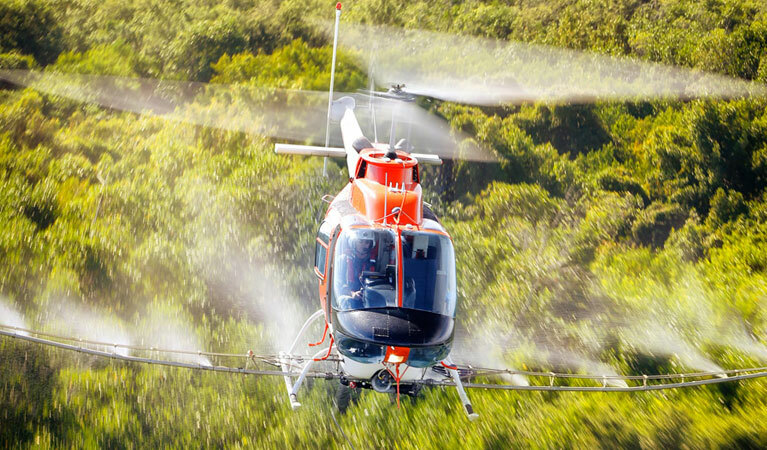 Don’t lose precious growth by missed weeds, get them all with a helicopter spraying. While Florida is located in a fairly warm region, there is always a chance for frost even during the warmer months. Frost prevention and treatment through aerial application can mean simply drying, or spraying crops with a preventative. Continuous spraying for further into the colder months can be arranged to assist you in keeping your crops from being affected by the cold to guarantee you larger yields and more product by the tail end of the late season. Experts are standing by to get you a fast quote for your agricultural job in Florida! FairLifts works with the most professional and experienced pilots and operators working in the agricultural aviation industry. Each of our agents is well-versed in assisting farmers in producing higher and better quality yields in Florida and can assist you in your own growth. Simply contact us seven days a week to discuss environmentally and neighborly crop dusting and spraying this next growing season.